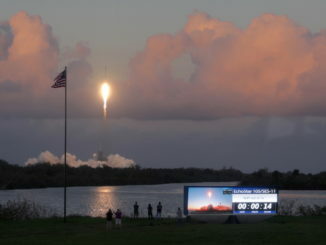 Launching into a clear autumn sky at sunset, a Falcon 9 rocket took off Wednesday from NASA’s Kennedy Space Center in Florida and delivered the SES 11/EchoStar 105 communications satellite to orbit. 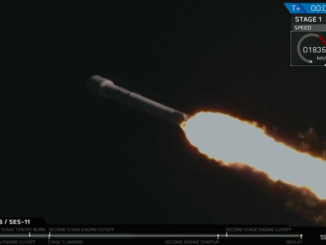 SpaceX launched a Falcon 9 rocket from Florida’s Space Coast Wednesday evening with the SES 11/EchoStar 105 communications satellite, a video relay and data distribution platform jointly developed by SES and EchoStar. 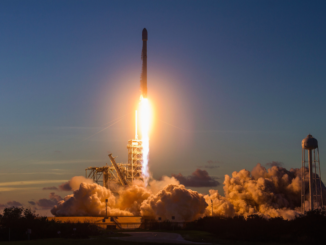 Maintaining a brisk flight rate three days after its last launch, SpaceX sent a Falcon 9 booster powered by a reused first stage into orbit Wednesday evening from Florida with an Airbus-built communications satellite for SES and EchoStar. 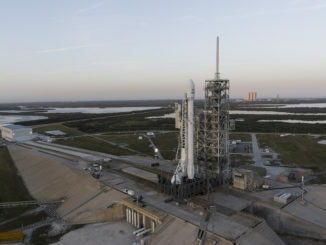 A Falcon 9 rocket powered by a reused first stage booster rolled out Tuesday to pad 39A at NASA’s Kennedy Space Center in Florida, a day before its scheduled liftoff with an Airbus-built communications satellite designed for television broadcasts over the Americas. 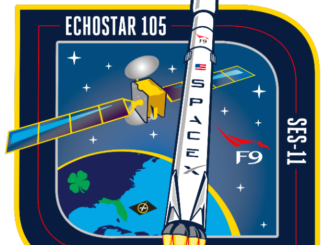 SpaceX’s Falcon 9 rocket is set for liftoff from Cape Canaveral on Wednesday evening, heading due east over the Atlantic Ocean to deliver the SES 11/EchoStar 105 communications satellite into orbit 36 minutes later. 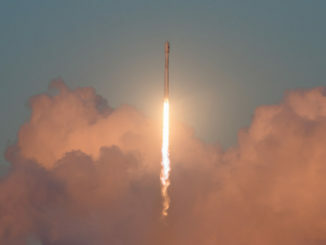 Crowned with a European-built communications satellite designed to broadcast television over the Americas, a SpaceX Falcon 9 rocket with a previously-flown first stage booster lifted off Kennedy Space Center’s launch pad 39A Wednesday at 6:53 p.m. EDT (2253 GMT). 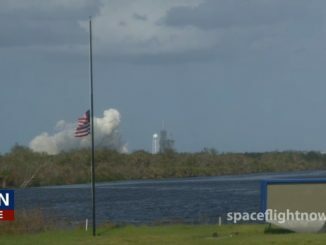 Liftoff of a previously-flown Falcon 9 rocket from NASA’s Kennedy Space Center with a European-built television broadcast satellite has been pushed back from Saturday until at least next Wednesday night, officials said. 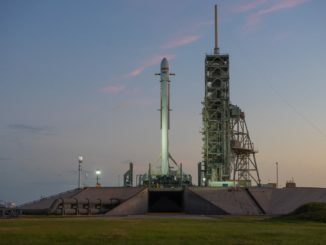 SpaceX test-fired a reused Falcon 9 booster Monday at NASA’s Kennedy Space Center in Florida, checking the rocket’s readiness for a planned liftoff Saturday with an Airbus-built commercial communications satellite. 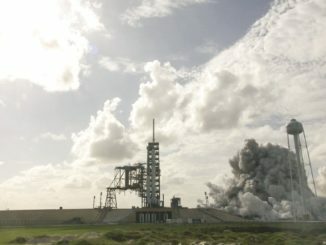 A previously-flown SpaceX Falcon 9 rocket booster conducted a test-firing Monday at NASA’s Kennedy Space Center in Florida, ahead of a planned launch Oct. 7 with an Airbus-built communications satellite made for SES and EchoStar. 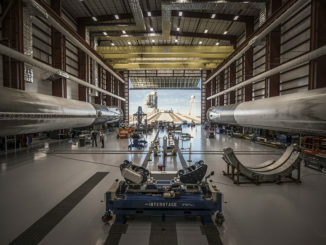 SpaceX engineers are readying two Falcon 9 rockets for launches Oct. 7 and Oct. 9 from Florida and California, setting up another quick turnaround to first deploy a large TV broadcasting satellite for SES and EchoStar over the United States with a previously-flown booster, then add 10 more spacecraft to Iridium’s fleet of new-generation voice and data relay network.